Bad credit can happen to anyone. And once your credit score falls or takes a hit, it can be difficult to recover. You’ll be stuck with fewer financial options, especially when it comes to credit cards. But poor credit doesn’t mean you have to live without a credit card. 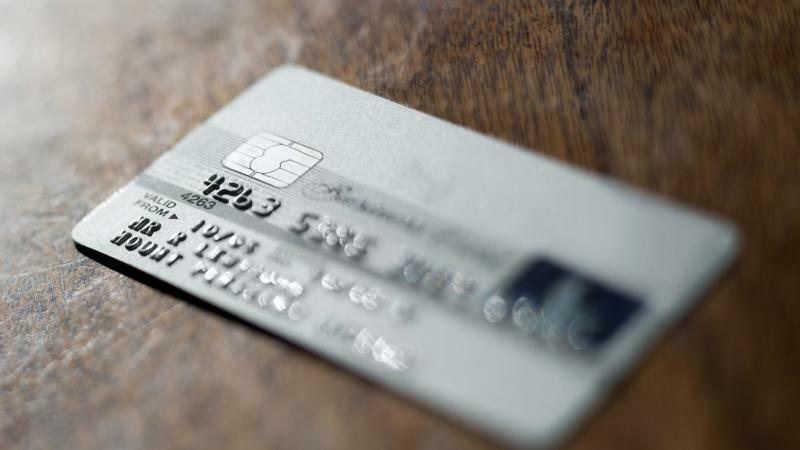 In fact, the right credit card could help you rebuild your credit – and here are a few cards that are designed for those with less-than-perfect credit. If you’re looking to rebuild your credit score or establish a solid credit history, the Capital One Secured Mastercard is one of the best credit cards you can choose. With no annual fee, you can choose how big of a credit line you’d like to open on this secured card – and over time, you’ll be able to monitor your score with CreditWise from Capital One and watch your credit line increase as you make on-time payments. How It Works: The Capital One Secured Mastercard¹ requires a refundable deposit of $49, $99, or $200 to establish a line of credit. The amount you choose is your credit line until you have a proven track record of on-time payments; then, your credit will increase with no additional deposits needed. It’s Perfect For: Anyone looking to build credit and increase their credit options with on-time payments every month and without paying pricey fees. If your credit history features a lot of financial difficulties, finding a credit card company that’ll offer you a line of credit can be near impossible. Fortunately, the Indigo Platinum Mastercard is available – and this excellent card allows just about anyone to open an account, including those who’ve filed for bankruptcy. The Indigo Platinum card has more relaxed guidelines, letting applicants see if they pre-qualify before applying to avoid another hit on your credit report. And with no security deposit required and just a small annual fee, this card is a truly great, affordable choice. How It Works: The Indigo Platinum Mastercard² doesn’t require a secured line of credit or deposit – just check to see if you pre-qualify. Once your account is open, you’ll need to pay your balance on-time every month to improve your credit score and avoid the high interest rate. It’s Perfect For: Anyone who’s filed for bankruptcy, both recently and in the past, and needs to improve their credit score. When your credit score is far from perfect, most of the perks of owning a credit card aren’t available to you – you can’t get a line of credit without a deposit, you don’t get to choose between different card companies, and you certainly don’t get to earn rewards on your purchases. But all of that is changing thanks to the Credit One Bank Unsecured Visa. This credit card offers cash back rewards, allowing anyone of any credit score to earn 1 percent cash back on all purchases. And those rewards will be put to use on your credit statement, helping you pay off your purchases faster. How It Works: The Credit One Bank Unsecured Visa³ lets you pre-qualify without affecting your credit score and doesn’t require a deposit. Make sure you plan to pay off your balance each month to avoid interest, and you’ll earn 1 percent back on all purchases from any retailers. And you can even change or choose your due date. With a small annual fee, this card is within reach for anyone. It’s Perfect For: Absolutely anyone with bad credit. If you’re ready to start repairing or building your credit, don’t let a poor credit score stop you. Thanks to plenty of credit card options designed just for those with low credit scores, there are now tons of different options for you to get back on track, make on-time payments, and see an increase in your score over time. Here’s an important factor to keep in mind as you search for the right credit card for your credit: you don’t want to apply for too many cards. Applying for every credit card you’re interested in can lower your credit score even more. Every time you send in an application, a hard inquiry appears on your credit report – and that single action can have a negative affect on your score for a whole year. While it might seem tough to find the right card, take your time before you apply. Instead, look for credit cards that will let you qualify without taking a hit on your credit. Plenty of secured and unsecured credit cards, including those mentioned above, will let you pre-qualify. This means you can find out if you’ll qualify for the card before sending in an official application and getting a hard inquiry. Just make sure to search around, look for cards that meet your needs and your credit history, and that won’t impact your score before you even sign up.